VBS 2019! - IN THE WILD! Grab your camera—wild encounters are coming! Throw on your camera strap and buckle your seatbelt. VBS 2019 takes you on a wild adventure—with elephants and egrets, polar bears and penguins, cockatoos and crocodiles. As you seek out exotic animals, you’ll also find snapshots of real-life encounters with Jesus in Scripture. 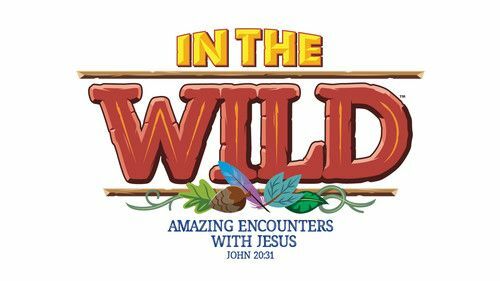 Kids go from bewildered to believing as they get “In the Wild” at this summer’s Vacation Bible School. We are looking forward to an exciting week with your child(ren), as we join God's Team, train hard, celebrate salvation, and encourage one another! There is a $15.00 fee per child. Every child will receive a T-Shirt, so please be sure to include their t-shirt size on the registration form. Scholarships are available and confidential (please email the directors if you are in need of a scholarship). As soon as you complete your registration form, make your check payable to NMBC, marking VBS in the Memo line, and mail it to: New Monmouth Baptist Church, 4 Cherry Tree Farm Road, Middletown, NJ 07748. WOMEN (All women are welcomed): If you are interested in participating in the Women's Bible Study held during VBS, please email our directors. They will need your Name, Address, Phone #, and Email Address. Childcare will be available for children, babies through age 4. You do not need to have a child registered in VBS, in order to participate.